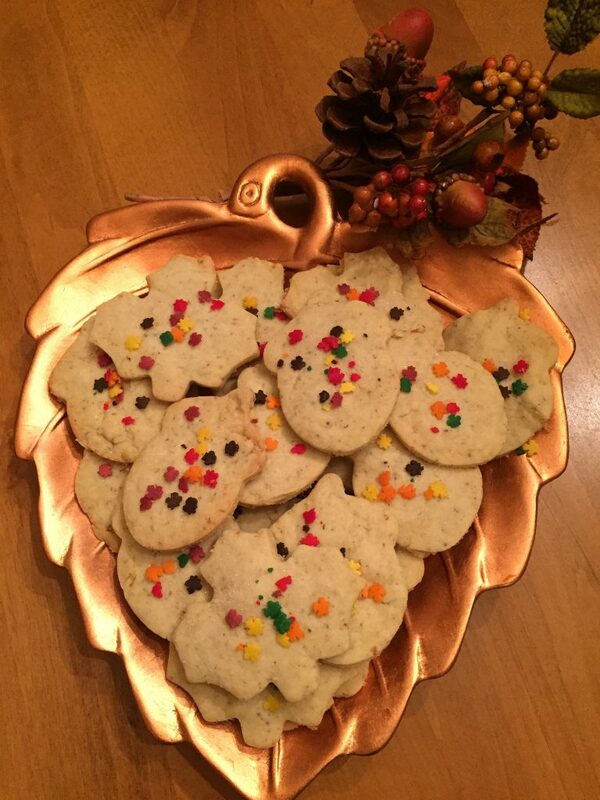 Adding sprinkles to Lemon Chamomile Shortbread Cookies gave them an Autumn flair. Trust us when we tell you they were a party-hit. We believe drizzling a little powder sugar and milk icing over them takes them to the next level of delicious-with-your-coffee goodness. We found the recipe for the Lemon Chamomile Shortbread Cookies at Country Cleaver.